Before that happens there’s substantial development work needed on the technology side. 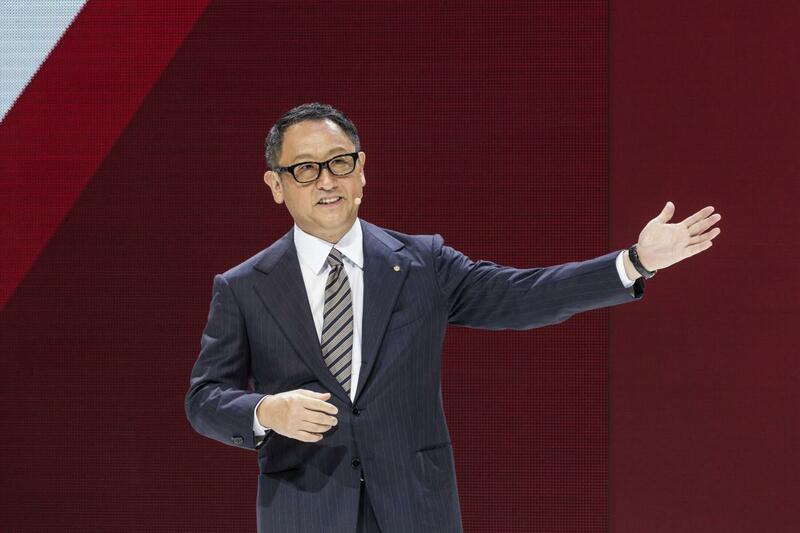 A tremendous amount of on-road and virtual testing also needs to be done to ensure automated driving systems are sufficiently reliable, Akio Toyoda, Toyoda’s president and grandson of the carmaker’s founder, said at the Paris Motor Show last week. To speed development of self-driving cars, the world’s largest automaker last year created Toyota Research Institute, a $1 billion advanced projects lab based in Palo Alto, California. The unit is also charged with aiding the company’s robotics program and advanced materials research. TRI is led by Gill Pratt, the U.S. scientist who helped lead the federally backed DARPA Challenge robot car races that sparked the current driverless vehicle movement. Toyota is also working on an additional automated feature it calls “Guardian Mode,” Toyoda said in a statement. “This technology is a further evolution of current safety mechanisms such as Toyota Safety Sense, and is designed to support the driver as necessary, even taking over the car in certain circumstances.” He didn’t provide timing for the introduction of either driving mode. Elon Musk, Tesla’s billionaire CEO, in July estimated that at least 6 billion test miles would be required to ensure autonomous driving reliability. Even so, he defended Tesla’s decision to roll out semi-autonomous technology as quickly as possible. “The most important reason is that, when used correctly, it is already significantly safer than a person driving by themselves and it would therefore be morally reprehensible to delay release simply for fear of bad press or some mercantile calculation of legal liability,” Musk said.